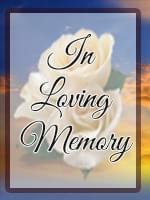 Donald Marshall Nance, 72, passed away on May 9, 2013 in Mesa, AZ. He was born May 14, 1940 in Phoenix, AZ. He was a barber for over 40 years and enjoyed his customers and co-workers very much. He is preceded in death by his parents, Violet and Marshall Nance; his brother, Kenneth Nance and his granddaughter, Jasime Youssef. He will be immensely missed by his daughter, Gia Nance-Youssef, his son-in-law, Sam Youssef, his grandchildren, Sofia and Armani Youssef, and his brother, Larry Nance.